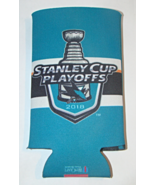 jayscollectibles' booth, featuring 7123 items, including SAN JOSE SHARKS - 2018 STANLY CUP PLAYOFFS Drink Koozie, SAN JOSE SHARKS - 2018 STANLY CUP PLAYOFFS Drink Koozie, SAN JOSE SHARKS - 2018 STANLY CUP PLAYOFFS Drink Koozie, SAN JOSE SHARKS - 2018 STANLY CUP PLAYOFFS Drink Koozie, Trading Cards / Sports Cards - 1990 SCORE - ALL PRO #582 - JOE MONTANA, Trading Cards/Sports Cards - Collegiate Collection 1990 - LSU - LIFFORT HOBLEY, 1990 Score NFL FOOTBALL Series 2 - BERN BROSTEK - 2 Card Lot, Trading Cards / Sports Cards - TOPPS STADIUM CLUB - CAL RIPKEN, Trading Cards / Sports Cards - Studio LEAF 1993 - GEORGE BRETT, Trading Cards/Sports Cards - Collegiate Collection 1990 - LSU - GERRY KENT, Trading Cards - SERIES 2 MIGHTY MORPHIN POWER RANGERS - PREMIUM CARDS (1994), Trading Cards / Sports Cards - Topps 2000 - CHIPPER JONES Card# 180, Trading Cards / Sports Cards - Upper Deck 1995 - did you know? 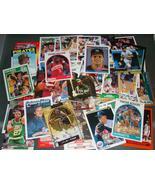 - JEROME BETTIS, Trading Cards - DRAGON BALL Z - 20 Card Lot, Trading Cards / Sports Cards - FLEER 2005 - FLEER ULTRA - BRETT FAVRE Card#83, Sports Cards / Trading Cards - 60 Assorted Card Lot 4, Trading Cards / Sports Cards - Upper Deck 1999 - OVATION - MO VAUGHN, Trading Cards / Sports Cards - Upper Deck 1995 - did you know? 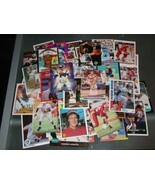 - DREW BLEDSOE, Trading Cards / Sports Cards - 2010 Topps Chrome - BRETT FAVRE - C90, Sports Cards / Trading Cards - 60 Assorted Card Lot 6, Sports Cards / Trading Cards - 60 Assorted Card Lot 3, Trading Cards / Sports Cards - NBA HOOPS - David Robinson, Sports Cards / Trading Cards - 60 Assorted Card Lot 7, Trading Cards / Sports Cards - FLEER ULTRA 2005 - JERRY RICE Card#34. 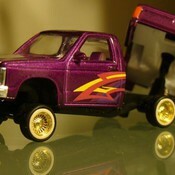 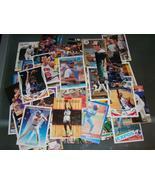 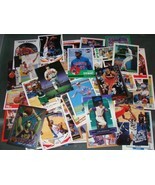 Showing 56 products in "Sports Mem, Cards & Fan Shop"